Nintendo is betting a lot on its exclusive line-up to help turn around the fortunes of its Wii U console. It's in the company's best interest to remind you that it has a handful of great games you won't find on the upcoming PlayStation 4 and Xbox One. The whole classic gang is here from Super Mario 3D World to The Legend of Zelda: The Wind Waker HD. Donkey Kong Country Tropical Freeze has Nintendo's classic giant ape making his HD debut, and if those three games don't them all covered, then every classic Nintendo character is bound for a release in Super Smash Bros. Wii U and 3DS or Mario Kart 8. 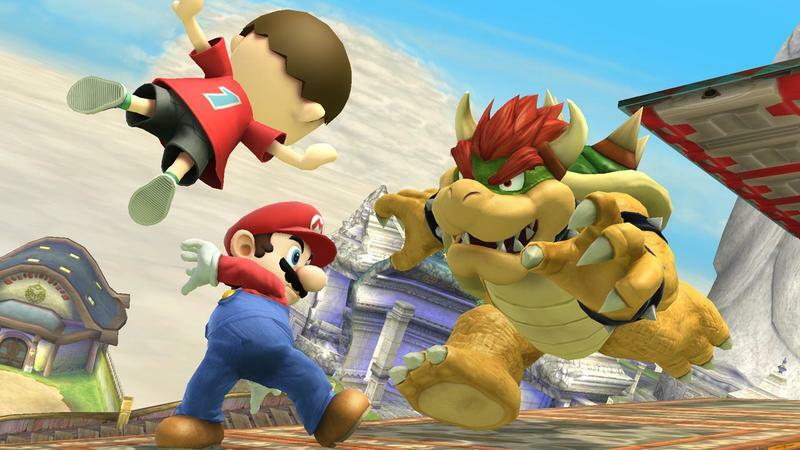 More than just Nintendo's stars are joining the fray. Platinum Games has Bayonetta 2 and The Wonderful 101 joining the Wii U's library. Sonic the Hedgehog highlighting a list of Nintendo exclusives still blows my mind to this day, but his fantastic looking Sonic Lost Worlds is bound for the console. Monolith Soft's new mech RPG, only known to us now as X, is also bound to add some meat and potatoes to Nintendo's generally light line-up. Several other hits which have already been released like LEGO City Undercover, Pikmin 3, New Super Mario Bros. U, and its follow up New Super Luigi U make an appearance. It took a bit longer than a year, but the Wii U is finally coming around to being a great investment. Each game shown is high on my wishlist, and there are still the prospects of Metroid and a brand new Legend of Zelda around the corner. Let's hope everyone catches on and realizes that Nintendo is back.